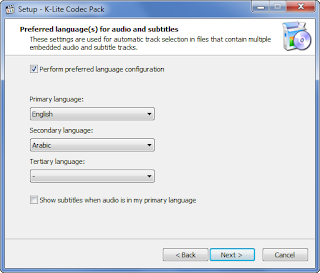 K-Lite Codec Pack Full 2019 free download; Lite Codec Pack Full 2019 is a complete collection of codecs and related tools, to view and listen to all movies, videos and music on your computer. Great especially for those who love downloading files on the Internet because today many data have different extensions (WMV, AVI, MPEG, MP4, MP2 etc.) and without codecs, players can not play them. It is a complete massive package, containing everything you need to play your movies or listen to music in MP3 without any headache. Includes a large collection of codecs VFW (Video For Windows) and ACM (Audio Compression Manager), DirectShow filters, and various tools. Package also includes Media Player Classic, to be able to play all the popular movie formats. (Media Player Classic) It is an excellent program. Video formats: Xvid, DivX, H.264, VP6, VP7, MPEG-2, MPEG-1, Indeo 4:05, MP4, FLV, H.261 and RealMedia; Audio formats: AC3, MP1, MP2, MP3, Vorbis, AAC and AMR. 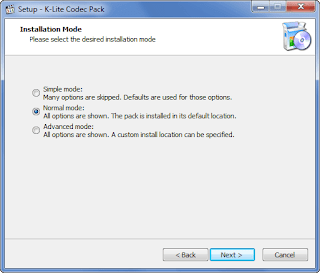 The installer lets you choose which codecs to install, or you can use the default profile which installs all of them. Many options are skipped. Defaults are used for those options. All the options are shown. 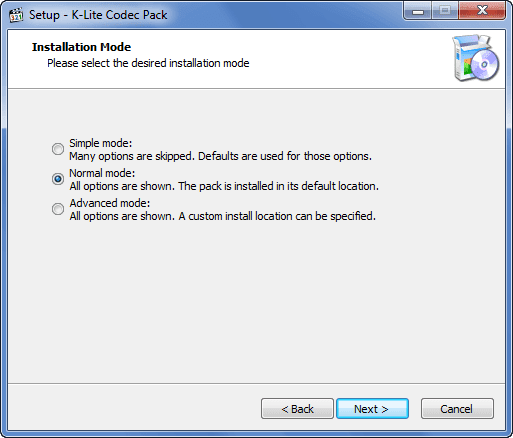 the pack is installed in its default location. You can choose three languages or only one. 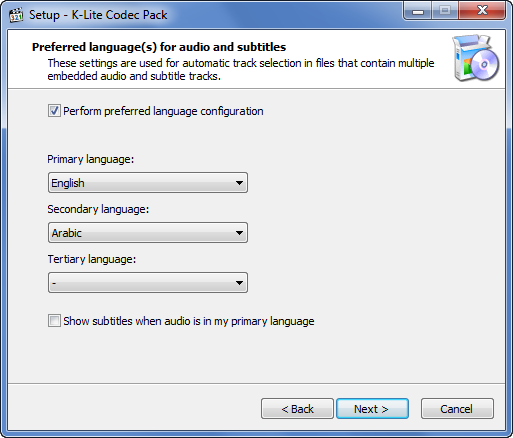 3: Select the file extensions that you want to play with Media Player Classic. The last step select/unselect, some additional software offers. of hottest and previous technologies, it's remarkable article.